Movie Review - Sing - Honk if you love justice! 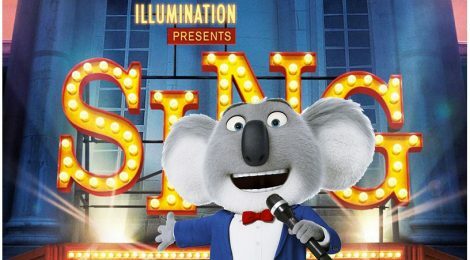 Illumination’s latest movie, Sing, is a song and dance you’ve seen before. Heck, the Muppets have done it twice at least. Buster Moon (Matthew McConaughey as a Koala) grew up loving the theater, and eventually (with financial help from his blue-collar dad) he buys a theater. Buster’s not very good at running it, though, so it’s in pretty dire straits with the koala dodging the bank and having trouble paying his employees. He’s got one last chance to save the theater, with an American Idol-ish singing competition. Hijinks, of course, ensue. The animation is fine, with some decent visual gags, and of course, the music works fine (it better, considering). The one thing they needed to do is trim the cast. There’s too many characters we are supposed to care about packed into too little movie to actually build them up. They could easily drop the wannabe gangster mouse so we could flesh out the other characters a bit more. This is fine for kids, probably, but adults will see through it as they rely on the fact we’ve seen these stories before to fill in the blanks. At least the music is entertaining. The voice cast does a perfectly fine job but nobody leaps out, except maybe Taron Egerton as the young gorilla Johnny. Uh, no pun intended. Sing is worth a matinee showing if your kids are clamoring to see it. It’s cute. Exactly what you expect happens right when it should. Just don’t expect to think about it or remember much about it a few days later. I’m still thinking about Kubo.